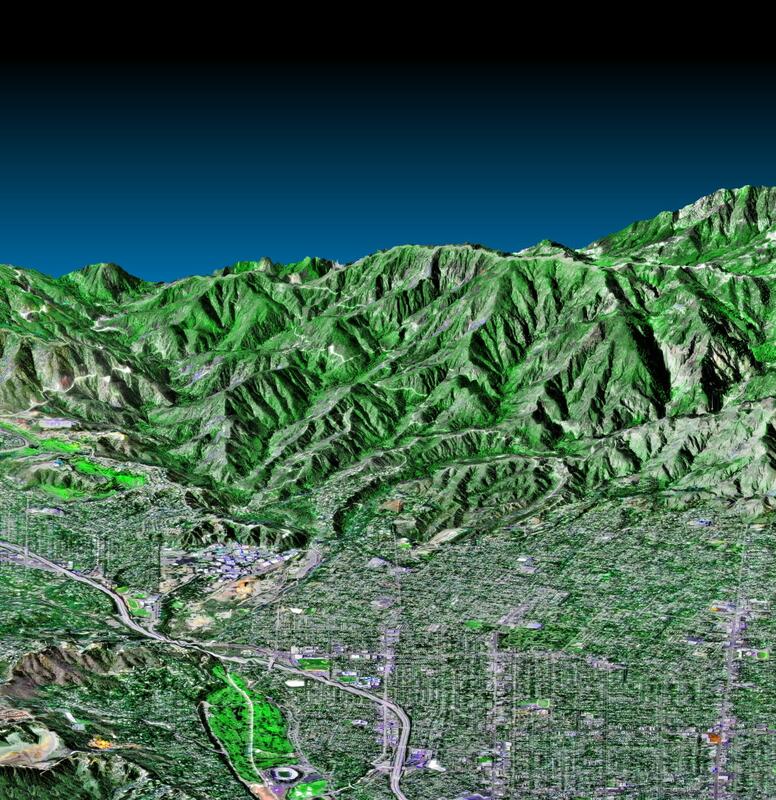 This perspective view shows the western part of the city of Pasadena, California, looking north towards the San Gabriel Mountains. 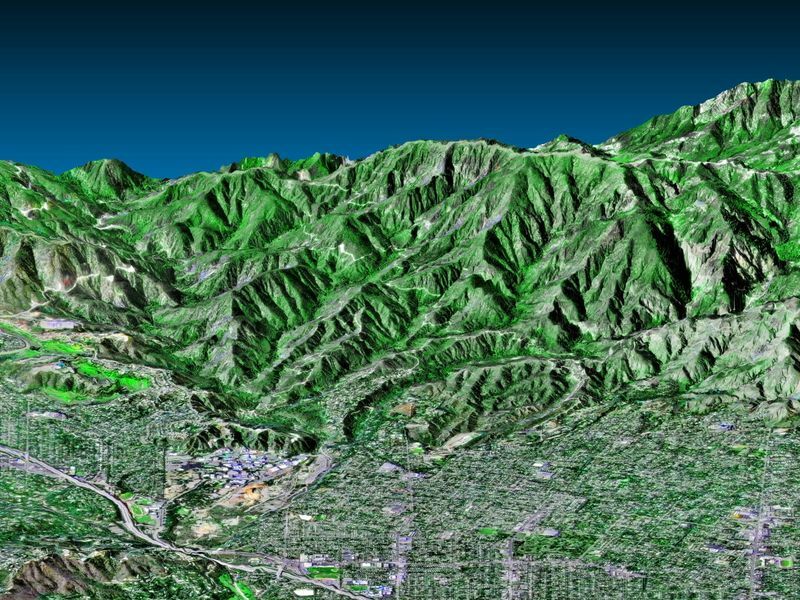 Portions of the cities of Altadena and La Canada-Flintridge are also shown. 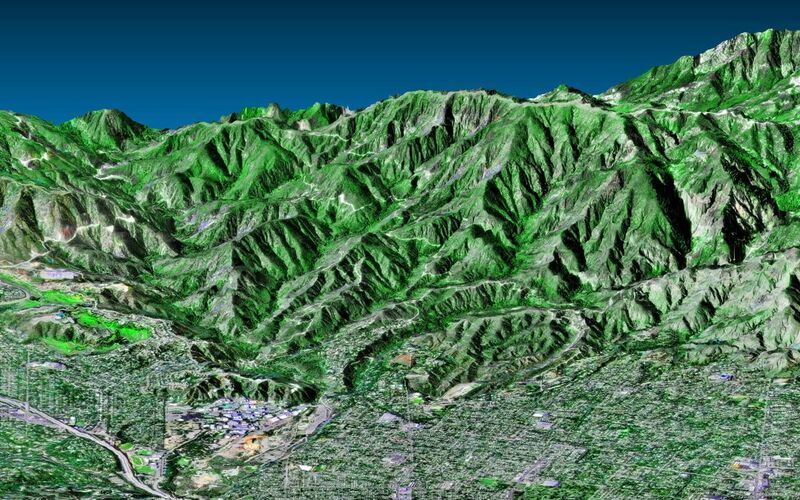 The image was created from three datasets: the Shuttle Radar Topography Mission (SRTM) supplied the elevation data; Landsat data from November 11, 1986 provided the land surface color (not the sky) and U. S. Geological Survey digital aerial photography provides the image detail. 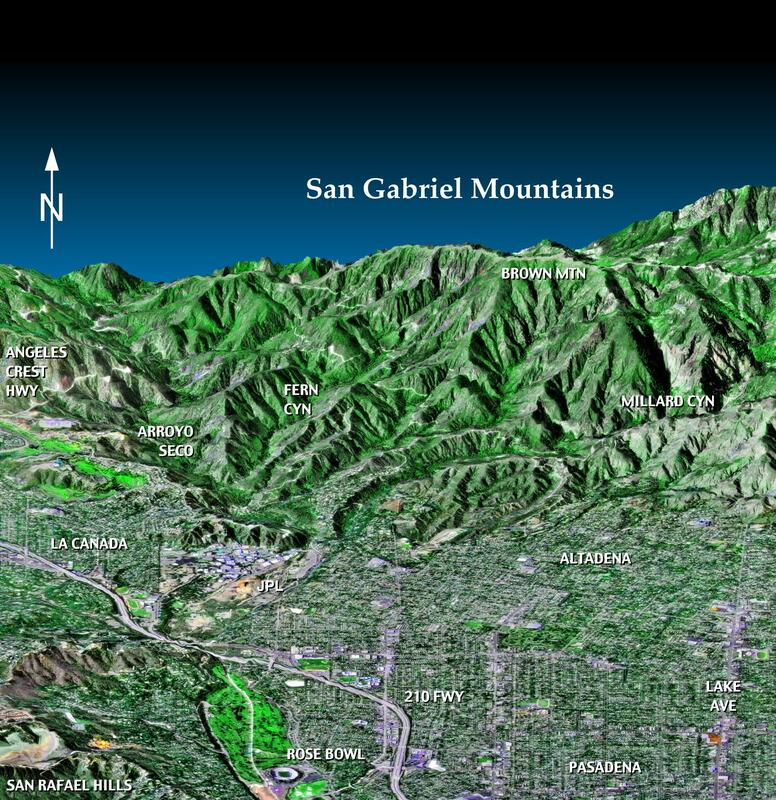 The Rose Bowl, surrounded by a golf course, is the circular feature at the bottom center of the image. 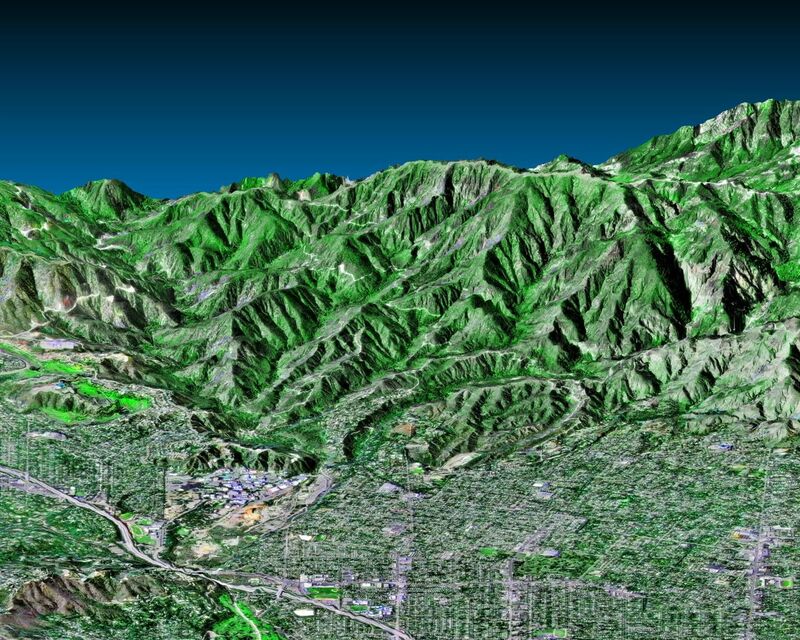 The Jet Propulsion Laboratory, is the cluster of large buildings north of the Rose Bowl at the base of the mountains. A large landfill, Scholl Canyon, is the smooth area in the lower left corner of the scene. This image shows the power of combining data from different sources to create planning tools to study problems that affect large urban areas. In addition to the well-known earthquake hazards, Southern California is affected by a natural cycle of fire and mudflows. Wildfires strip the mountains of vegetation, increasing the hazards from flooding and mudflows for several years afterwards. Data such as shown on this image can be used to predict both how wildfires will spread over the terrain and also how mudflows will be channeled down the canyons. Location: 34.16 deg. North lat., 118.16 deg. West lon.